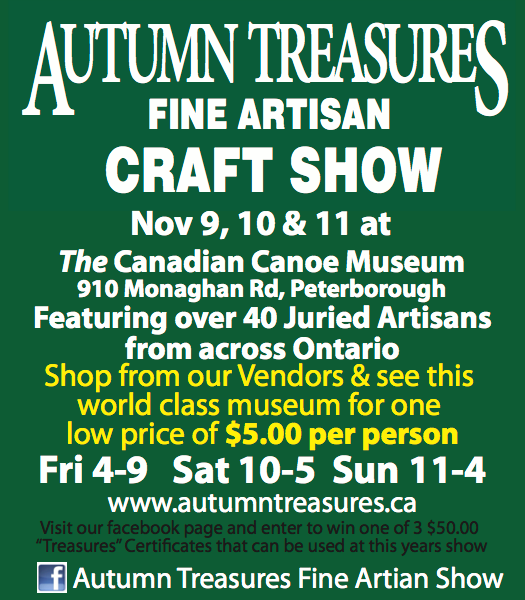 The Autumn Treasures Show is a premier Ontario Fine Art and Craft Show held annually. This year we are moving the show to our new permanent home, The Canadian Canoe Museum. The show has been running for 30 years, featuring some of the best artisans in Ontario.